I know, I have to say this. 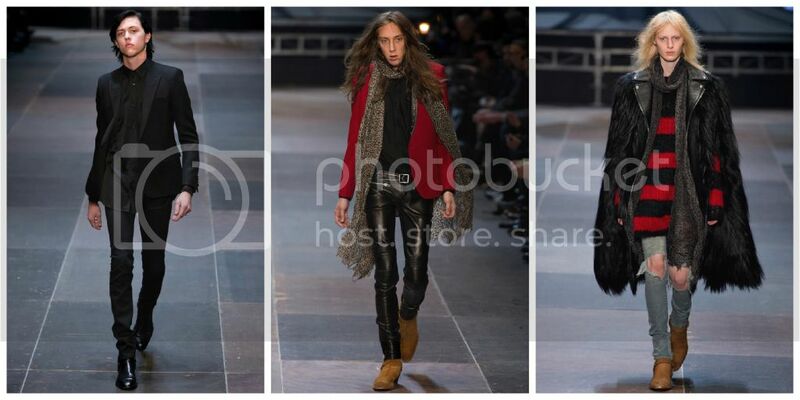 I didn't like so much Saint Laurent Autumn/Winter 2013 fashion show. 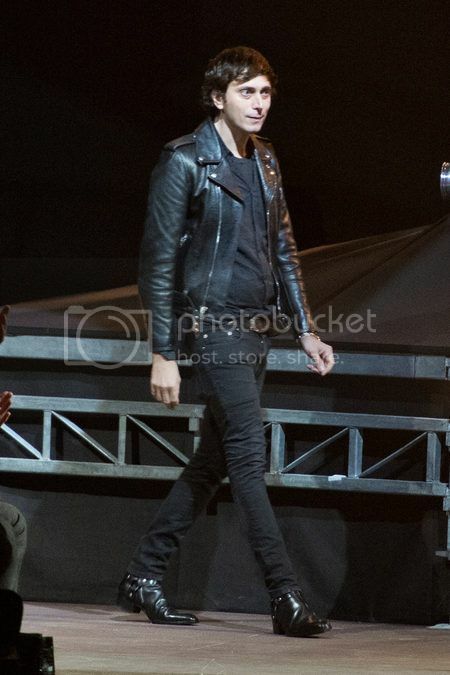 I've felt it more like a "walking" fashion editorial about young, skinny and cool indie rock stars from L.A. than a Saint Laurent show. It was all about the styling. I focused on it not on the clothes. 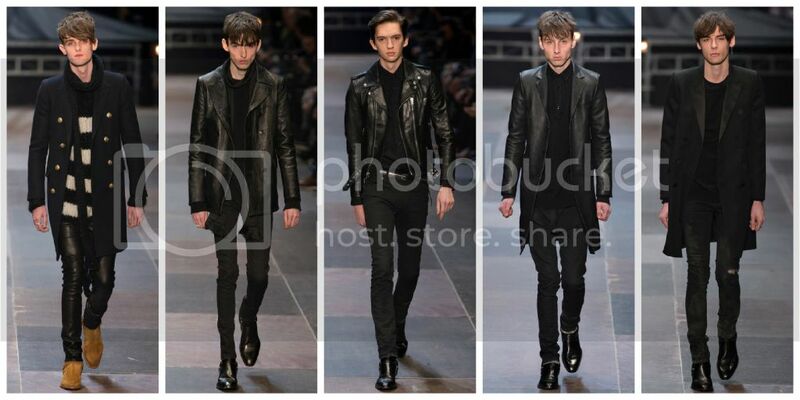 These, by the way, had a very Hedi Slimane/Balmain/"Kurt Cobain meets David Bowie&Iggy Pop" kind of style. This is what happen when you want to control everything and do designing, styling, casting, art direction... everything. I think is a very common problem in fashion. For designers all the clothes are "good sons", they haven't the necessary distance to judge a collection, mix all the pieces together, bring a new prospective and create something new. 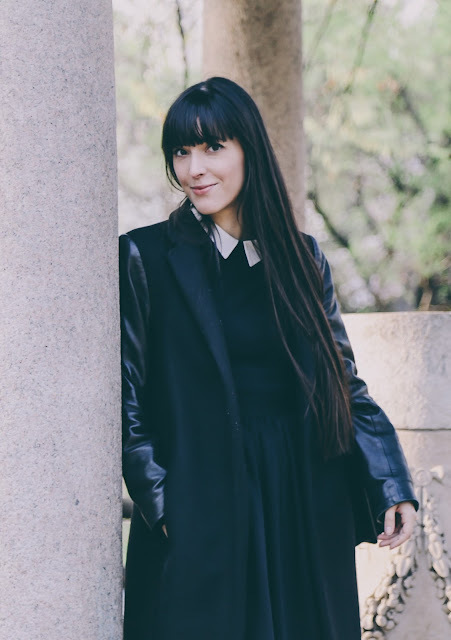 Please Hedi, next time do a call phone to Panos Yiapanis (or Carine Roitfield) and share your ideas. Trust me, it will be a great and inspiring chat. If Coachella ever hosts a winter edition, this is how the smart kids would want to look. When he spun his ardor into high fashion today, it made a lot less sense, especially as the kids who are the prime components of his vision can already shop this look for zilch down the funky end of any L.A. boulevard. 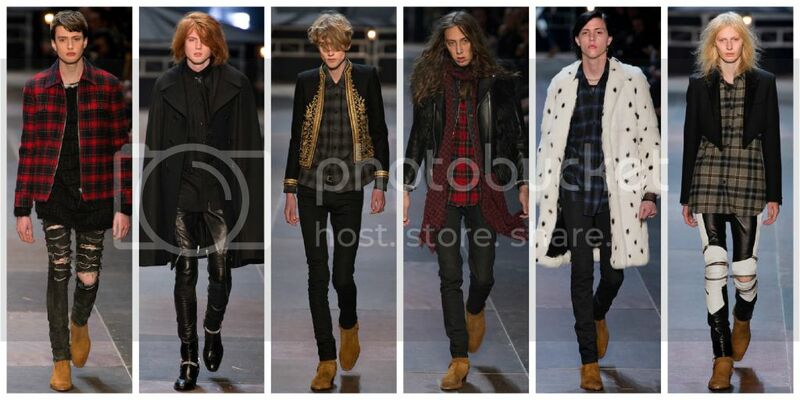 The show was fun, energetic — and much more confident than Mr. Slimane’s debut as a women’s wear designer last season. 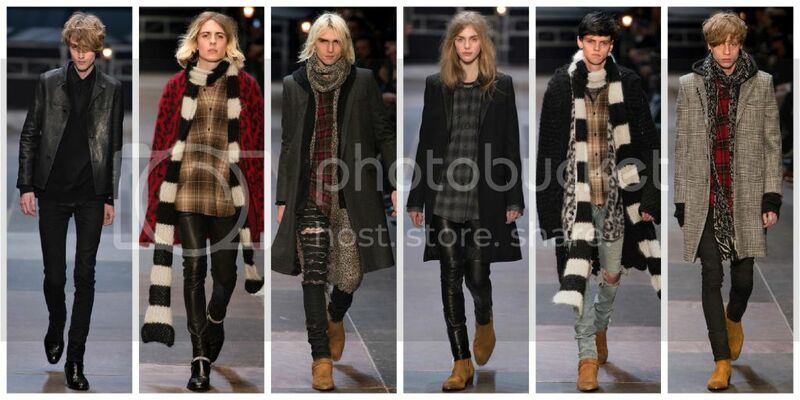 The only question is whether this reprise of grunge is appropriate to a 21st-century world of financial turbulence. Imagine carefully folded scarves, a tailored camel duffel coat and even a hairy cape looking much more luxurious in the stores. Tell me what you think about this collection!